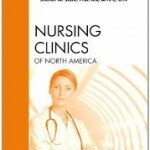 Falvey Library users now have electronic access through Elsevier Science Direct to the journals Nursing Clinics of North America and Obstetrics and Gynecology Clinics of North America. 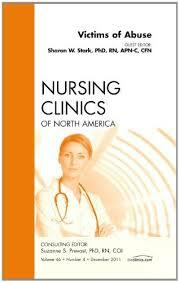 Nursing Clinics had been received in paper form at the library since 1966. However, all issues from vol. 37, no. 1 (March 2002) to present are now available electronically, and print has been discontinued. Obstetrics and Gynecology Clinics is a new subscription with issues available from vol. 23, no. 1, (March 1996) to the present. Users searching databases such as PubMed will be able to access individual articles by clicking the Find it button. Off-campus users must sign in with a valid Villanova LDAP ID and password. Launched in 2008 by the Robert Woods Johnson Foundation and the American Association of Colleges of Nursing, New Careers in Nursing (NCIN) provided scholarships to a total of 3,517 students, many from disadvantaged or minority backgrounds, who desired to pursue a nursing career. The program awarded its last scholarships in 2015. In 2013, a survey was conducted of scholarship recipients who graduated prior to September 2012, and the data collected are now available in the ICPSR (Inter-university Consortium for Political and Social Research) database. Alumni were queried on employment and career satisfaction. They were also asked to rate components of their nursing degree program and to comment on topics such as leadership and mentoring experiences. The NCIN 2013 Alumni Survey can be accessed online. After logging into ICPSR, be sure to click Log in/Create Account to register for an individual account allowing you to download data. Note that some of the data for this survey are restricted and require contacting ICPSR for permission to use. Off-campus users must sign in with a valid Villanova LDAP ID and password.